Of all the films of Dhanush, the film 3 is the most expected one among the people throughout the world. Shruthi Haasan is pairing with Dhanush in this film. Dhanush's wife and Rajni's elder daughter Aishwarya Dhanush is debuting as a director through this film. Debutant music composer Anirudh has composed the music for this film. The song Why This Kolaveri Di written and sung by Dhanush has become very popular throughout the world. This song has added popularity to this film. The film which was sent for certification to the Censor Board was awarded with an U certificate. The whole cast and crew was quite happy because 3 was awarded with a U certificate because this would facilitate everyone to view this film. The film is to hit the screens on 30th March in Tamil and Telugu. Dhanush has mentioned that the Hindi version of 3 will be released in a couple of days. The youngest popular Kollywood producer Udhayanidhi Stalin is debuting as a hero through the film Oru Kal Oru Kannadi. Hansika is pairing with Udhayanidhi Stalin in OK OK. Santhanam joins Udhayanidhi Stalin to tickle the ribs of the audience. Rajesh who is well known for his comedy gimmicks has directed this film. He had earlier directed films like Siva Manasula Sakthi and Boss Engira Baskaran. Harris Jayaraj has composed the music for the film OK OK. 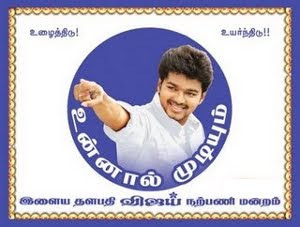 The song which begins with the line Vanciram Meenu Vavvalu has already become popular become among the youth. The film has been certified by a U certificate which would facilitate the producer to apply for tax rebate because of its clean content. The film is to hit the screens on 6th April. Music always plays an important role in a Gautham Menon directorial venture. Right from his debut Minnale, he's had good music. This time around, his trilingual project Neethane En Ponvasantham, which stars Samantha as the female lead, while Jiiva, Nani and Aditya Roy Kapoor play the leads in Tamil, Telugu and Hindi respectively, will have music maestro Ilaiyaraaja composing the tunes. The filmmaker is off to London to record the songs. "I am off to record the songs with Raja. He is someone I've grown up listening to and I love his tunes. 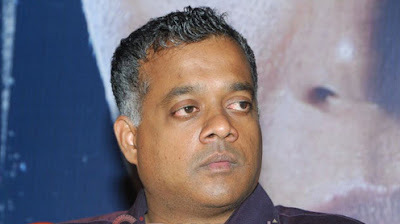 I am excited about working with him as it is a dream come true for me," says Gautham. While the teaser promo that was released a month back had the famous Ilaiyaraaja song that the film's title is inspired from, a little known fact is that Gautham himself sang the song that Jiiva lip syncs in it. Ask him if he will be singing the full song which will be remastered and released in this film and he says, "Oh no! I am not a singer."